are you interested in becoming a demonstrator? share your love of the amazing products from Stampin’ Up! You can choose to be your best customer and purchase for the discounts or you can earn an income if you choose to demonstrate the products at classes and parties. The opportunity is fully customisable to suit you, everyone is different and has different needs and you can make this opportunity work for you. There are no catches, nothing to pay back. Just a manageable quarterly minimum of £275 catalogue priced product/300CSV every 3 months. And if you DO want to run this as a successful business like me, then I am here to help you every step of the way. I have one of the largest teams in Europe and offer support, guidance, training, friendship, ideas, inspiration and help, as much or as little as you need. I am one of the top UK Demonstrators and have one of the largest teams in Europe. I am the UK’s #1 Demonstrator and have a wealth of over 10 years experience. I have a friendly and supportive team. We have our own little community on facebook and meet regularly at events throughout the UK. 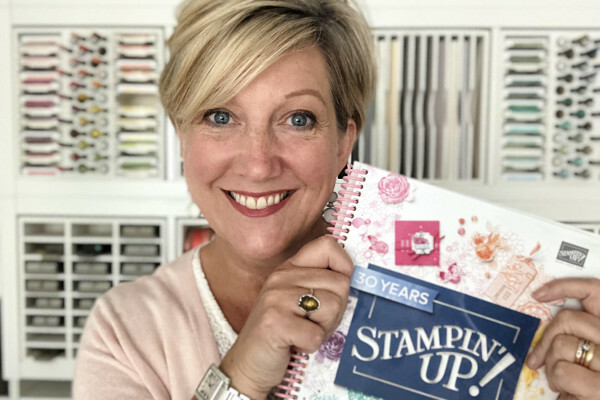 I have been a demonstrator for over 10 years since Stampin’ Up launched in Europe and have had the most wonderful experiences. I truly love the products, the people and have embraced this fantastic opportunity that has since become my full time job. I have a dedicated blog for my downline which has lots of great resources and I email regularly with reminders about ordering incentives and tips for boosting your business. I also run monthly training (local to me in Buckinghamshire) and I also run a quarterly event in Milton Keynes as well as training in the Netherlands which is a great opportunity to get together to share ideas. You do not have to be local to join my team, everyone is welcome and I am in regular contact via email with newsletters and reminders. I provide some useful tools to help you when you first get started such as a cardstock swatch and a welcome booklet explaining all the basics and a personalised notebook. I have loads of useful websites and resources to help you get inspired and making some beautiful items. I am here to help and if you have any questions I would love to chat openly and honestly to see if the opportunity is right for you, no pressure, just honest answers. £99 (129 €) and you can simply choose any current catalogue products to the value of £130 (175€). You also receive a business supplies kit which includes catalogues, order forms and everything needed to get your business started. The starter kit is shipped direct to your home for FREE within approx 3-4 working days of signing up. When you share Stampin’ Up magic happens. It is not about selling its just about introducing others to creativity and sharing what you have made and inviting others to join you! There is no pressure from me as your upline or from Stampin’ Up! but if you decide you want to start a class or two or sell to friends or customers you can and I am here to support you as much as you need. You are in charge and you set your own targets and goals. It is so easy to share what you are passionate about and Stampin’ Up! offers some great incentives to get you sharing and earning so there is lots of scope to earn, promote and be rewarded simply by sharing what you love and the fantastic products. The quarterly minimum sales target is £275 (300 CSV). That equates to less than £50 a month! Whenever sales are mentioned in the Compensation Plan, they won’t be shown in local currency. In order to make our compensation plan applicable to all markets, regardless of currency, we use a common measurement: commissionable sales volume or CSV. Great news is that if you join NOW your first quarterly minimum isn’t due until the end of September 2019! On all orders placed you receive 20% discount off the net product total or 21% discount off if you are in the Netherlands. You can earn more commission the more sales you make in a month and any extra commission payments are calculated at the end of the month and paid direct in the bank account of your choice mid-way through the following month. You also get the chance to pre-order products a month earlier than the general release as well as very generous offers and discounts including hostess benefits on all eligible orders. I have over ten years of experience and knowledge and can help you as little or as much as you need. I offer 1-2-1 training, training events, crafting weekends, get togethers and as much support as you need. There is also lots of info shared on the demonstrator website. We have a dedicated demo support helpline who are amazing. I have 3 team facebook groups as well as a dedicated downline blog filled with resources. I offer training and events, where we spend time together, craft and share inspiration as well as offering training on how to launch your business, how to get started, how to earn the incentives and trips. Stampin’ Up! also offer events throughout the year in various locations. I run monthly meet ups local to me, a bi-annual event in Buckinghamshire and also a weekend getaway in Birmingham once a year as well as visiting the Netherlands several times a year. Everyone is welcome to every event and we craft, have fun and hang out together sharing our common love of Stampin’ Up! and its products. You need to make the right choice for you as once you sign up you are unable to change your team leader without resigning and rejoining 3 months later. Everyone is different and I would encourage you to do your research, don’t just look on-line pick up the phone and talk to the demo direct. Your team leader does not necessarily need to be local to you and you need to consider what it is that is most important to you and make your decision based on that. Is your potential demonstrator team leader knowledgable, friendly and helpful? Is your potential demonstrator team leader available to support you? Do you want a local upline to meet up with for support and ideas? Do you want business support or help to get your business off the ground? Do you want to be part of a community/team? Are you willing to travel to training/events? Once you have decided what you want from an team leader, call for a chat as it is really important that you get along and that your team leader can meet your needs. You may not need training or be interested in meeting up but are happy to chat with other team members on facebook. One of the best things about Stampin’ Up! are the people. I have one of the largest teams in Europe and offer support, guidance, training, ideas, inspiration and help, as much or as little as you need. You can choose to be part of the team/community or you can choose not to be, no pressure but you are free to choose. To join, all you need to do is Click the ‘Join Now’ button above. Once Stampin’ Up! receive your online application they will email you a login for the Stampin’ Up! website (usually the same day) and you will be able to access the demo website and explore all the useful resources and information as well as the opportunity to place your own orders and see your commissions etc. Your kit is shipped direct to you within 3-4 working days. You cannot place your first order within 7 days of joining. You will need to enter a your bank info when visiting the Stampin’ Up! demo website for the first time. It is the bank account that Stampin’ Up! will pay any extra commission you have earned back into and you will need your IBAN and SWIFT code. This can be found on your bank statement or your online banking info. If in doubt call your bank for your unique identifier.